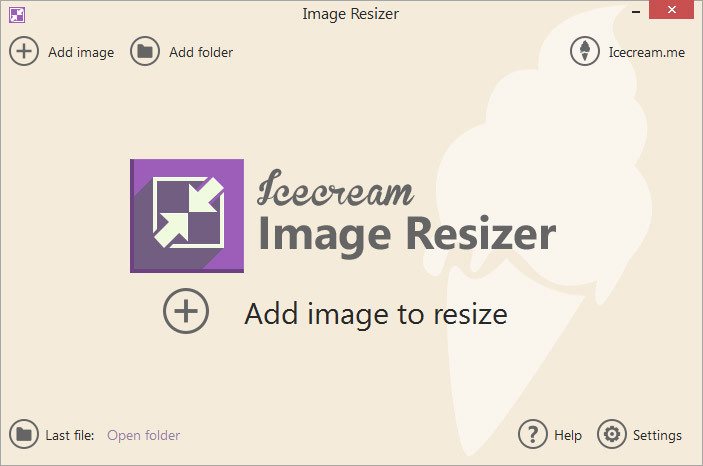 IceCream Image Resizer is a software for changing sizes of your images without any quality loss. 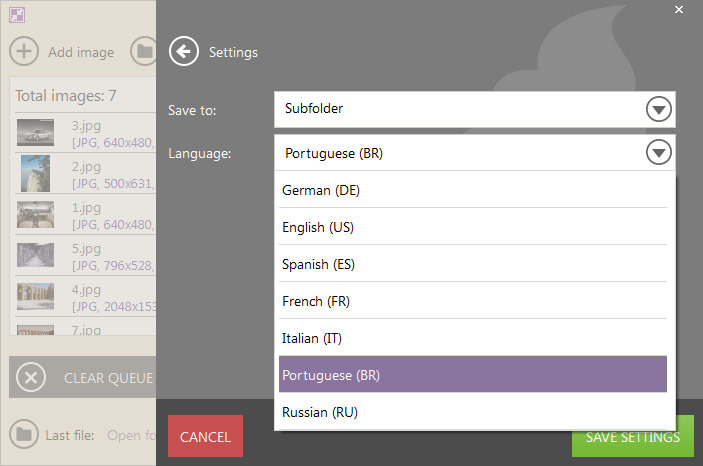 Freeware can work with multiple files at once and users can add single images of whole folders to resize. 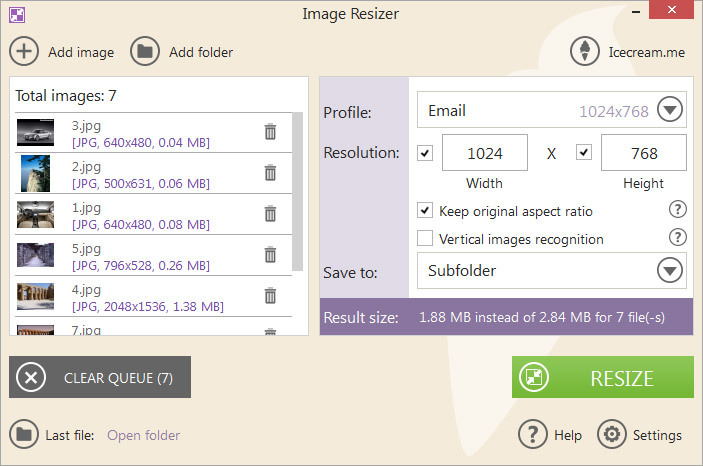 Vertical image recognition will automatically apply reverse width and height settings for vertically oriented images. 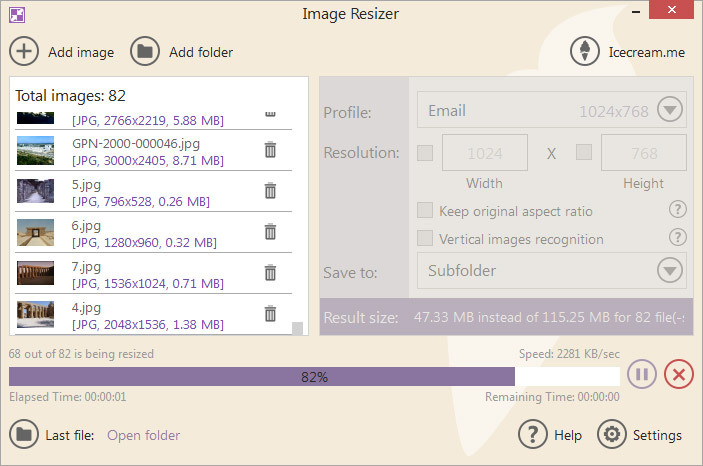 Keeping original aspect ratio of pictures while their resizing is also possible.